The Cliff: Listen up: CROP hunger walk Oct. 4! Listen up: CROP hunger walk Oct. 4! The numbers are startling, and would motivate anyone to help. Around the globe, 1.02 billion people are hungry. Every day, nearly 16,000 children die from hunger-related causes -- that's one child every five seconds. Hunger kills more people than AIDS, malaria and TB combined. In Mecklenburg County, 105,000 people live in poverty. That includes 34,000 chidren and 8,000 seniors. Got your attention? Here's how you can help the hunger problem. Join thousands of others at Charlotte's 31st CROP Hunger Walk. The walk, 3.7 miles through uptown and several inner-city neighborhoods, starts at 2:30 p.m. at the Grady Cole Center, 310 N. Kings Dr., and ends about 4 p.m. along Elizabeth Avenue. It is one of 2,000 CROP walks in the country. Our's is the largest (the 2006 walk is pictured above), expecting to attract at least 6,000 people on Oct. 4 -- some years have seen 10,000 take the streets. Anne Shoaf, heading this year's walk, has been involved with the event for most of its existence and walked in five of them. "I was raised in the church, and to me -- as a Christian and human being sharing this planet -- my responsiblity is to care for my neighbor," Shoaf said. "The question many of us have is: 'What am I going to serve tonight?' ... For too many others it's: 'How am I going to feed me and another person tonight?' That's a heavy burden, especially in this difficult economy. "For many people, it means that whatever they can eat is what's going to get them by. They're not even worrying about nutrition -- just getting the calories and that's a challenge." The walks are an outgrowth of Church World Service, founded by 17 denominations in 1946 to fight hunger. CROP (Christian Rural Overseas Program) started a year later to send seed, grain and livestock to war-torn Europe. The first Charlotte CROP walk in 1978 raised $19,000. In the 30 years since, Charlotte's walkers have raised more than $6 million -- $1.5 million staying in the community to fight hunger. This year's goal is $250,000, with a fourth going to Loaves & Fishes, Crisis Assistance Ministry and Second Harvest Food Bank of Metrolina. Each walker is asked to raise at least $100, through pledges or an individual donation. "They might get a lot of $1 and $2 pledges, or some might write a check for $100 and be done with it," Shoaf said. The walks are amazing spectacles of people caring for other people. All ages; all walks of the community. You'll make new friends and will get a little exercise in the process. Want to walk? Register online here. Or you can register at the event starting at 1:30 p.m. at the Grady Cole Center. 1. Can I run instead of walk ? I have things to do that day and that's way to long a time frame for just under 4 miles. 2. Any other way of donating than to these organizations ? I don't do anything that is tied to religion in any way but I am happy to give otherwise. 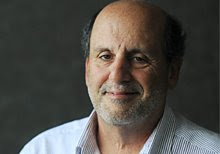 The Cliff is hosted by Charlotte Observer reporter David Perlmutt. The Cliff brings you the latest news and information about funding for non-profits and county agencies - and how it impacts life in Mecklenburg. E-mail Perlmutt at dperlmutt@charlotteobserver.com. The Cliff is a part of Charlotte Mission Possible - a joint effort by local media outlets to help Charlotte residents understand the charitable needs of the community and then find ways to help meet those needs. Should churches do more, preach less? Crisis over for charities? Far from it!